Gin tasting is definitely how I like to spend my evenings. If you’re anything like me then it’s how you’d like to spend your wedding day too. If this sounds about right then you’ll probably want to know more about our beautiful pop-up lounges designed especially for either Gin & Bubbles or Whisky & Cigars? Take a look at our pop-up lounge brochure for more information on how you can have all this on your big day! Built on a classic Dodd’s base of juniper and honey, this elegant limited edition gin has the added floral notes of green jasmine tea. This note is heightened by the heather honey used to give this gin flavour and mouthfeel. Raspberry leaf gives this gin the fresh taste of spring, while bay leaf rounds out the flavours brought together by angelica root. Sorry, slightly off topic… But this bottle is so pretty, I love the label and its quirky slimline shape, I just needed to share my appreciation for its aesthetics before we continue. Okay… Now we can talk about how it tastes! Dodd’s Gin paired with The London Essence – Pomelo & Pink Pepper Tonic is the perfect match. The sweetness of the Gin complimented by a more heated peppery tonic is heavenly on my taste buds. I’d be very interested to try the gin with a standard fever tree tonic so I can really appreciate all the flavours the spirit has to offer. But honestly, ‘don’t fix something that isn’t broken’ and this pair certainly isn’t! As I’m sure you can already tell this gin is aiming quite high on Rosie’s ratings and you’re totally right. I rate Dodd’s Gin a high score of 9/10. I 100% recommend this stunning blend of sweet and heat, you should definitely try it for yourself! Put the gin in a cocktail shaker then stir in the honey until it’s dissolved. Add ice, then shake and strain into a Collins glass packed with ice (lavender ice cubes are beautiful in this drink!). 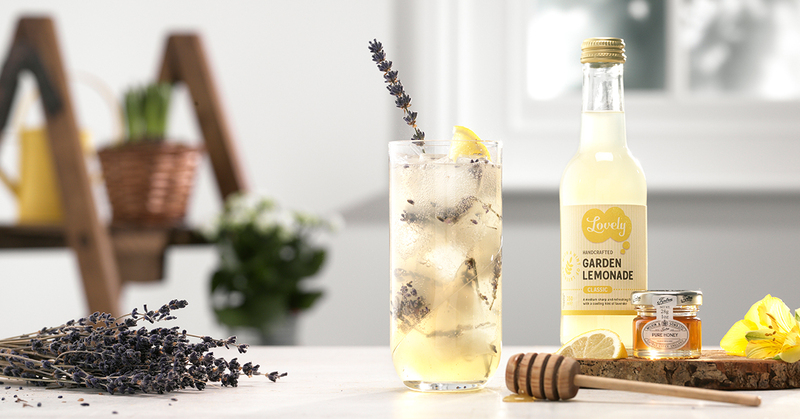 Top up with Lovely Drinks Garden Lemonade and garnish with a sprinkle of lavender and a twist of lemon peel. Craft gin club tip: Use a tea strainer to infuse your cocktail with the flavours of the lavender garnish and remove the bits before you drink, if you prefer. If you’d like to see more from the Craft Gin Club then head over to their site here.